It's late April and it's still snowing in upstate New York. Sounds like a good time for some hearty pub fare. 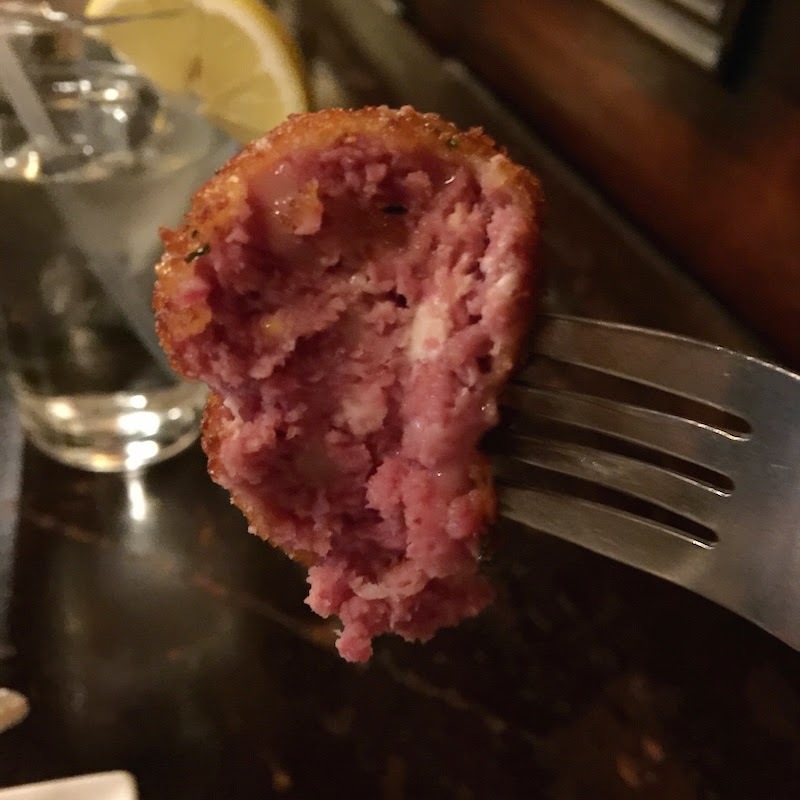 Read my review of the Irish meatloaf and Reuben fritters at Kitty Hoynes Irish Pub and Restaurant in Syracuse, New York as seen on Diners, Drive-Ins and Dives after the break. 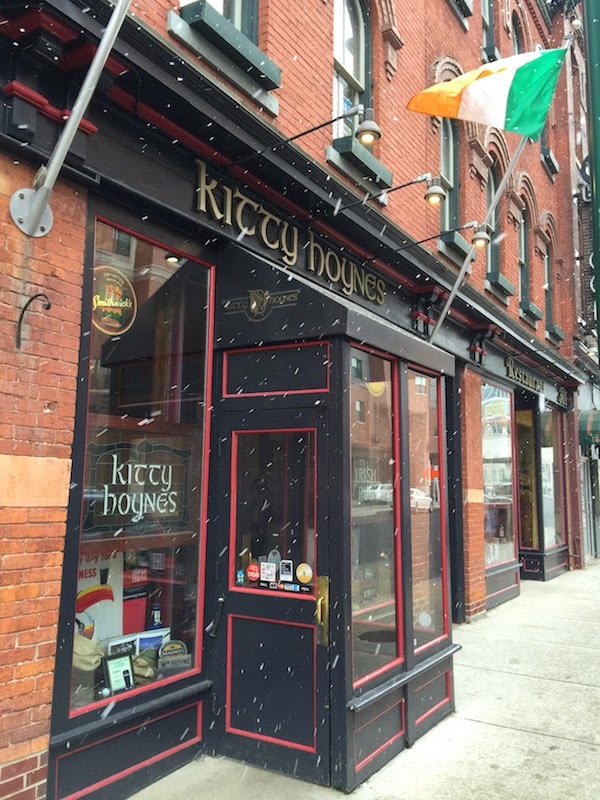 Kitty Hoynes is in downtown Syracuse. 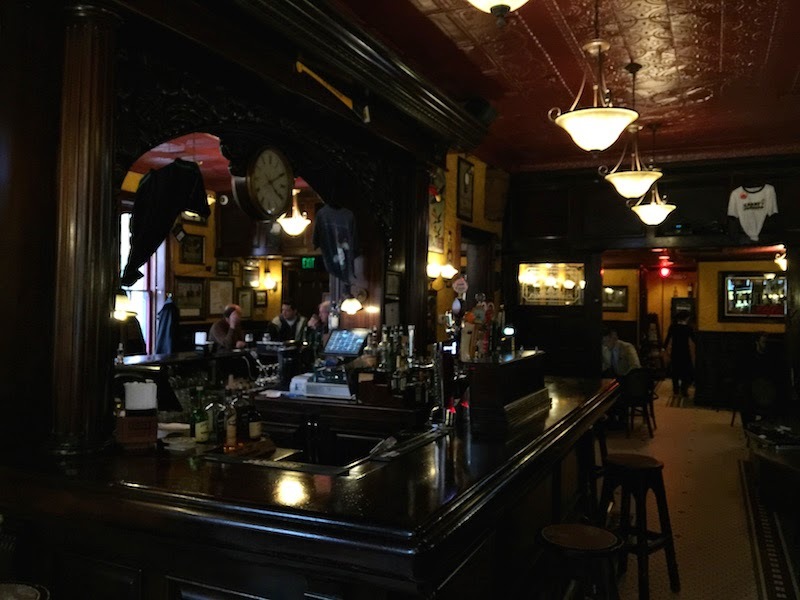 As you walk in, there's a large square bar and lots of tables. The decor and atmosphere had me feeling in no time like I was in Dublin. 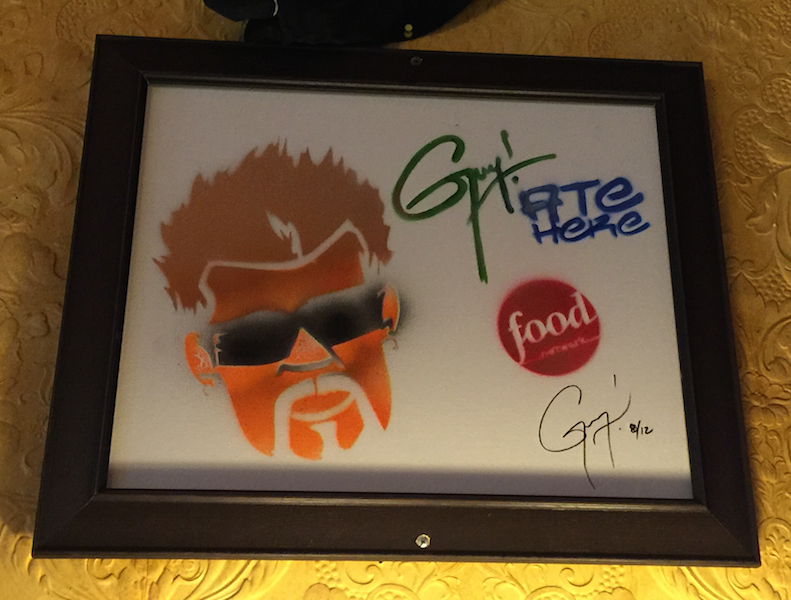 The friendly waitress and I joked that I ordered the "Food Network special" as I had both items that Guy Fieri had on DDD: the Reuben fritters and the Irish meatloaf. 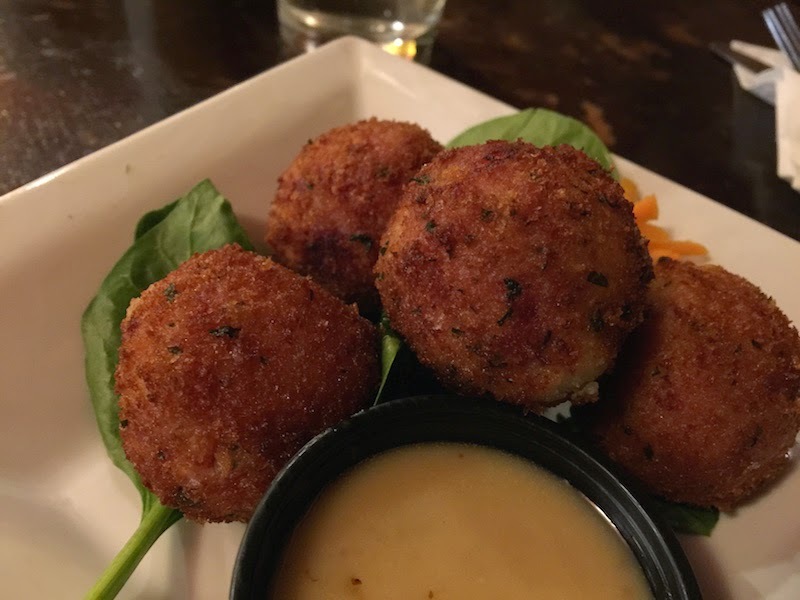 The Reuben fritters ("Irish Cannonballs") are homemade corned beef blended with Swiss and cream cheeses, and sauerkraut. It's served with Guinness whole grain honey mustard dipping sauce. These are really tasty, and served hot and fresh. They are crispy on the outside and tender on the inside. 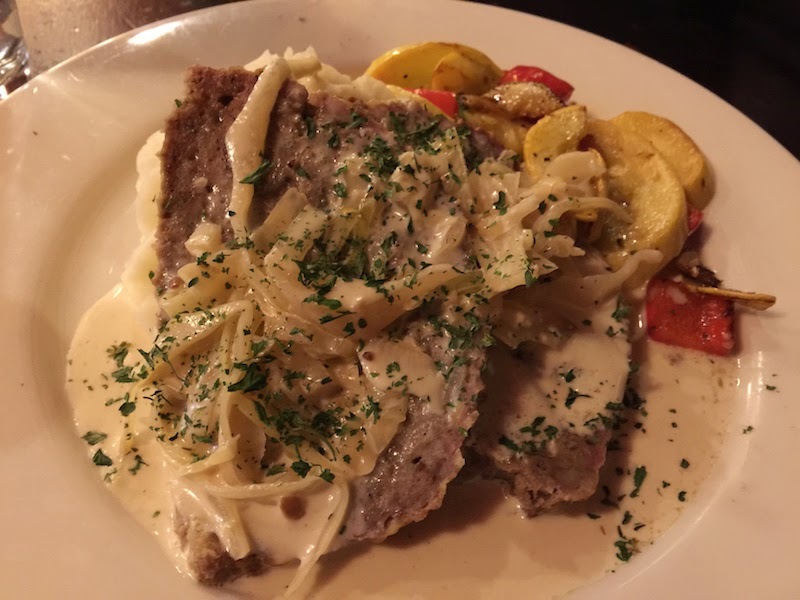 The Irish meatloaf is ground beef and lamb, and its stuffed with Irish white pudding and Irish cheddar, cabbage and cream sauce. It's served with champ (mashed potatoes and scallions with butter and milk) and vegetables. I really liked this meatloaf. It is very tender, and the lamb gives it a very mild and unique flavor. 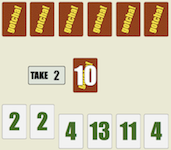 Next time I'll arrange for alternate transportation and enjoy some of the many beers and whiskeys at the bar to get the full Irish pub experience.